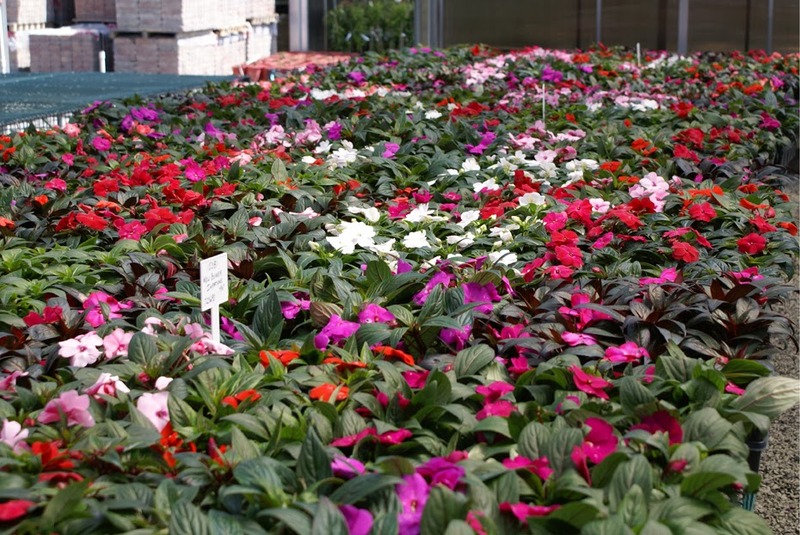 Impatiens are some of the great stalwarts of summer bedding. Reliable and disease resistant, they have secured their place as a garden favourite by flowering their socks off throughout the growing season. Of course they look their very best in mass plantings but as with all such grand schemes it can be expensive to implement. However if you have the space you can grow them quite easily from seed. Impatiens seeds maybe small but they are easy to handle and as such can be sown one at a time. Using a good quality compost such as John Innes 'Seed and Cutting' they can be sown into seed trays, 3 inch pots or more preferably individually into modular trays. The compost needs to only be 1/2 inch from the top of the tray or pot and roughly speaking you are looking at 15 seeds per pot or 120 seeds in a standard seed tray. Impatiens seed require light to germinate so once they have been sown onto the compost surface they just need to be gently watered in. However a fine covering of vermiculite will help to retain moisture and still allow light through to the seed. Place the pots or tray in a heated propagator and keep at a temperature of between 20-25 degrees Celsius. 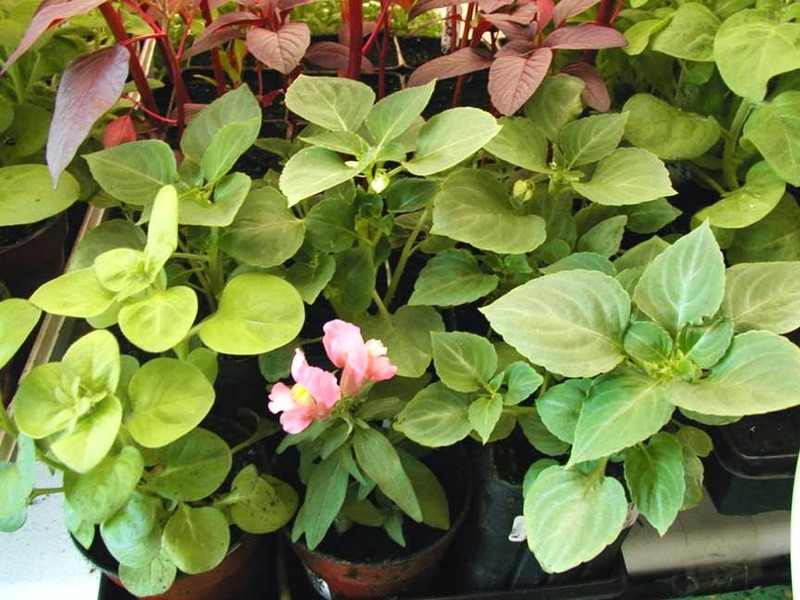 If a heated propagator is not available then seal the pots or tray in a clear polythene bag and pace on a warm, bright windowsill but out of direct sunlight. Keep the surface of the compost moist but not waterlogged, and you can expect germination to occur in 14-21 days. When the seedlings are large enough to handle they transplanted at a rate of one plant per 3 inch pot. They will need to be acclimatise to outdoor conditions for a few weeks before planting out, and certainly not before all risk of frost has past. They can be planted in their final position approximately 6 -12 inches apart depending on the species. 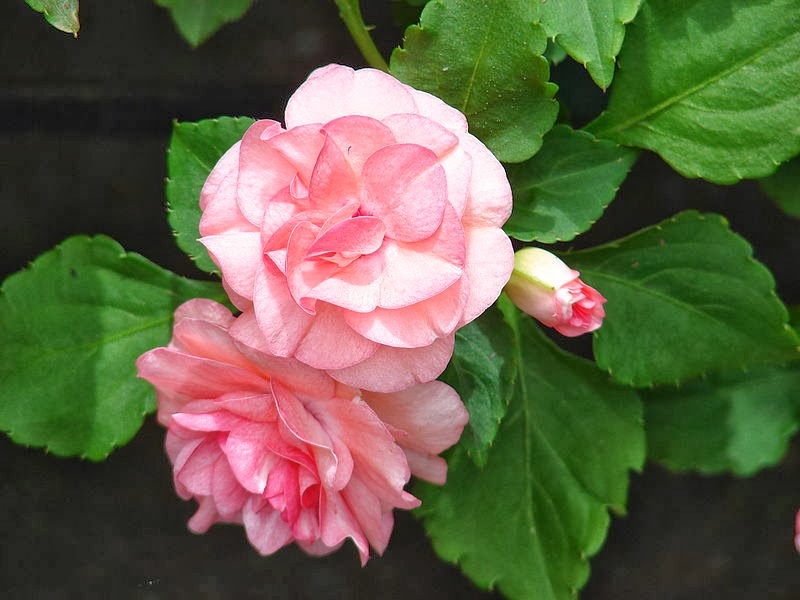 Impatiens will prefer a moist, well-drained soil in full sun or part shade.